What a crazy weekend of fun stuff to do! And if you're not heading down to the big show - no worries, there's plenty more fun 'round town!! Celebrate all things French at the Fete Francaise at Ecole Bilingue de la Nouvelle Orleans (821 Gen. Pershing) from 11:00 am to 6:00 pm...The Fête is a unique opportunity to celebrate the French heritage of the city and showcase all things French: language, cuisine, art and music. The 13th Annual Fête Française theme is “Bleu, Blanc, Rouge.” This fun-filled event celebrates all things uniquely French and helps to keep the Francophone heritage alive and well in New Orleans and Louisiana through a delicious food, entertainment, children’s activities and cultural demonstrations - and admission is FREE! Head on over to the West Bank for the Old Algiers Riverfest at Mardi Gras World (233 Newton). The growing festival, is now in its eighth year, is dedicated to preserving and promoting the traditional jazz and other indigenous sounds that came of age along the banks of the Mississippi River. A FREE authentic New Orleans cultural experience that features performances by some of the top names in traditional jazz, Gospel choirs, brass bands and Mardi Gras Indians, RiverFest™ also offers local cuisine, local and regional arts and crafts and children's activities. Nola Drive-In Rooftop Screening (840 Carondelet St.)....The New Orleans Film Society and WTUL present director Richard Linklater's 1993 ensemble comedy "Dazed and Confused" (7 Sat), starring Matthew McConaughey, Jason London, Joey Lauren Adams, Milla Jovovich, Adam Goldberg, Rory Cochran and Wiley Wiggins as high school students on the last day of school as they try to get the summer of 1976 started right. 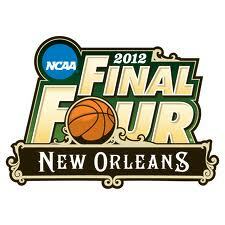 Tickets are $6 per person. Food and drinks are available for purchase. 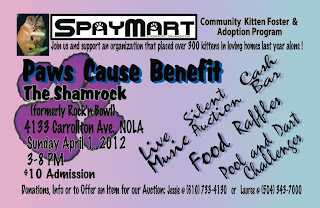 Help the kitties and Spaymart on Sunday over at Shamrock (4133 S. Carrollton Ave.) in Mid-City from 3:00 pm to 8:00 pm for Paws for the Cause. 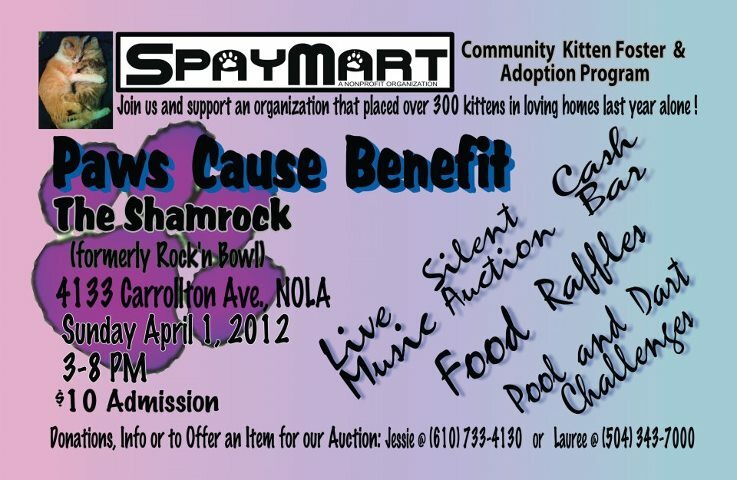 Join Spaymart Sunday for music, silent auction, pool & dart tournaments raffles, food, cash bar and more. Admission is only $10 for all the fun, and the money you donate will help out the "Kitten Foster and Adoption Program" - they found home for 300 kitties last year - so come on down! !